Rye Town Council’s last meeting before the elections in May flagged up some issues that are not going to go away – like parking, Gibbet Marsh, and the viability of the council’s Heritage Centre (pictured above) on Strand Quay – and one, the new Discovery Centre at Rye Harbour’s Nature Reserve, that got parked for the time being. Rother District Council has already announced plans to look at sites it might sell off including land adjacent to Rye’s Gibbet Marsh car park. However that has been allocated in the yet to be voted on Rye Neighbourhood Plan (RNP) to parking, along with a “green corridor” alongside the River Tillingham and the railway line. Nevertheless outgoing Rother district councillor Lord Ampthill (who has been the Rother cabinet member responsible for finances and resources) told the town council that the marsh site “will require considerable thought”. Anthony Kimber, vice-chair of the RNP steering group, said that was a rather unhelpful reference by the councillor, and sought assurances that before Rother made any decision the town council and Rother’s own planners were fully consulted. Lord Ampthill also said that Civil Parking Enforcement (CPE) provided an opportunity for the councils to work closely together to deliver a suitable scheme for Rye, and there would be a further consultation over the summer. However East Sussex County Council leader Keith Glazier had extended the informal consultation (with a local exhibition) over Christmas to allow the town council to submit its views. And later in the same month he had welcomed the town council’s setting up of a parking group to look at Rye’s long term parking needs. In the meantime, he said, the legal process of setting up CPE in detail required a formal consultation, and the CPE scheme – once introduced – could then be monitored and reviewed, and the new parking group could comment then. The loss-making Heritage Centre’s manager Louisa O’Shaunessy told the council that the March takings were better than expected and the average daily spend in the centre had increased. Deputy Mayor Councillor Rebekah Gilbert asked how costs could be reduced, and the town clerk pointed out that the council had approved a strategic review conducted last year (after much larger previous losses) and approved the 2019-20 budget which included savings such as shorter opening hours. 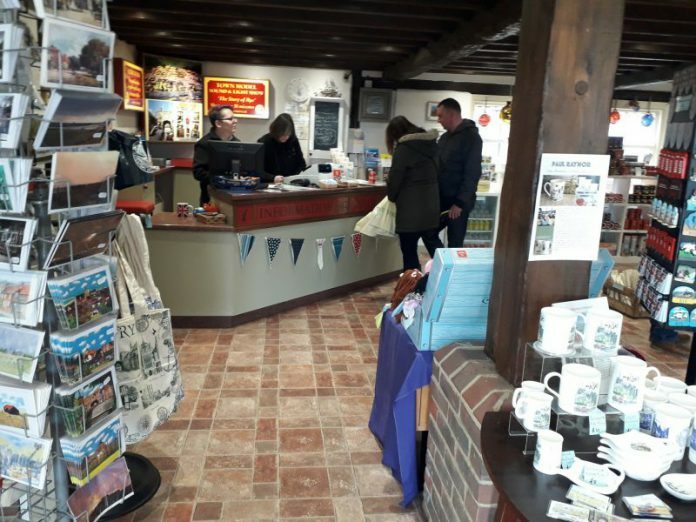 An application from the Discovery Centre at Rye Harbour for a £1,000 grant was put on hold by the council for 8 months – with a view to determining whether the town council could fund something specific like a piece of equipment. Former mayor Councillor Bernardine Fiddimore (who is not standing again for a council seat) said Rye was a poor area with many local organisations needing funding, and Councillor Cheryl Creaser wanted to know whether Icklesham Parish Council (as the reserve is in its parish) was donating anything. Alistair Fairley, the centre’s appeal board’s chairman, said the centre would be a major visitor attraction in S.E. England, but local residents have questioned whether Rye Harbour, its car park, and local road and footpath access is fit for purpose. Mayor Councillor Mike Boyd thanked those councillors not seeking re-election for their considerable contributions. [Given the number of former mayors standing for re-election or election to the town council, a suitable collective noun may be needed and, apparently at Cinque Port gatherings that attract a number of current mayors they are described as the Chain Gang. Image Credits: Rye News library, Barry Yates. How about A kerfuffle of Mayors.